Timing, as ever, is almost everything. I say almost, because of course there are many other factors that should be considered. Nevertheless, sometimes it is just something that the powers that be have determined. Thus, this year, I will have to give the Pusan International Film Festival (PIFF) a rather big miss, because it conflicted with the schedule that has been given to me for my graduation film shoot. Nevertheless, that does not mean that I won’t be there in spirit, even if my spirit should actually be on location with me in Toechon rather than Pusan. Nevertheless, here’s a quick look at the films that I definitely would have been watching had I the chance and opportunity to do so. The line-up of Malaysian films at this year’s PIFF is numerous, and does not seem to lack in quality and variety (then again, anything Malaysian doesn’t really lack in variety, I think). Kicking things off would be a special segment on the fifteen short films made in Malaysia called…well, ’15Malaysia’. I have previously written about this before, but for the sake of reference, it is basically a collection of short films by filmmakers in Malaysia looking at different aspects of Malaysian life. Some of the issues dealt with are incredibly timely, like Linus Chung’s ‘House’, but these films are only truly enjoyed if you understand the Malaysian psyche. If you want to give this a miss, it is possible, since you can always watch all of the films later on online for free. Having said that, it would be quite an experience to watch all of the films all at once in a darkened theatre. Following that would be a film by one of the filmmakers who participated in the ’15Malaysia’ project. 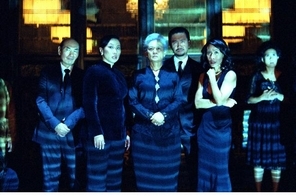 Ho Yuhang’s involvement in that came at a time when it was announced that he had won the NETPAC Best Asian Film award in Locarno. The award is given for ‘At the End of Daybreak’, a film that explores the complexities of relationships, sexual or otherwise. Tuk Chi and Ying, having met online, embarked on a relationship, but it is one that is frowned upon when Ying’s parent’s discovered what was going on. A co-production between Malaysia, Korea and Hong Kong (money-wise, at least), even if it wasn’t actually shot in Korea. Probably. There’s only one way to find out. Business is slow on Sundays. One film that’s definitely not shot in Korea is ‘Karaoke’ by Chris Chong. It blazed a trail of publicity sometime earlier in the year, as it was selected for the Cannes Film Festival. I managed to catch the director’s short film, ‘Block B’, and found it to be an incredible piece of work. There were only two shots through the whole film, but it was incredibly simple and imaginative both at the same time. I doubt whether he would use the same technique for this one; after all, the story of a man who comes back home to run a karaoke bar in a small village may seem simple enough, but I reckon there’s more here than meets the eye. Another film that doesn’t stray too far from on-screen singing is ‘Talentime’, the late Yasmin Ahmad’s final feature film before her untimely passing. Set within the school environment, it tells the love story of Mahesh and Melur, the finalists of a school singing competition. It was released earlier in the year to much aplomb, and even garnered her a couple of gongs at the Malaysian Film Festival award ceremony. I haven’t seen it, but I do not expect it to stray too far away from the styles of her previous works like ‘Muallaf’ , so don’t miss it if you’re into that. The band reunited after ten years apart. Something that I almost did miss is ‘The Blue Mansion’, a film officially classified as a Singaporean/Malaysian co-production. It is directed by Glen Goei, who I have to admit to never having heard of before. Perhaps I should have; his biography on the Pusan website seemed impressive enough. I don’t know how Malaysian the film is, but it attracts enough attention based on its story alone: a tycoon who died came back as a ghost as he tries to find out about the secret of his death. It says here that the ghost “witnesses his own funeral wake,” which is always fun to watch, I think. She considers telling her daughter about strangers with candy. From man to woman to ‘My Daughter’. Helmed by Charlotte Lim, it is her debut feature film, and tells the story of a young girl and her mother living together in Malacca. Fighting back love-hate emotions towards her own mother, only one of the two will emerge from the gulf of perplexed emotions, while the other will be consumed. That sentence there, I didn’t make up; it was there on the page itself. I don’t know what the style, ending and vision is going to be like, but judging on that one alone, it seems like someone is going to hell sooner rather than later. This isn’t Charlotte’s first time in Pusan, though…at least, it wasn’t the first time her film got in. ‘Escape’ was shown last year, and I enjoyed it enough to think that this would be one I’d like to watch, too. Finally, we get to the Malaysian box-office superstar that is Upin and Ipin! ‘Geng: Penggambaran Bermula’ steamed the box office earlier this year, collecting around RM6 million. As it stands, it is still in the top ten films of the year, behind only the heavyweights of Hollywood…and took in almost double the box office of Star Trek, as it turns out. Billed as the first 3-D animated feature film from Malaysia, it is a family movie that follows the tales of the twins as they embark on new adventures. I don’t know how well it would translate overseas, since it was based on a local TV series, which probably accounted for its huge success. However, given that such topics are generally cross-cultural to begin with, I think it may find a good audience in Pusan. 'The' Loh Ming Kwang? How many others could there be? And now that we’re done with the features, let’s get on with the shor…no, wait, what’s that? There are no Malaysian short films this year? With the exception of ’15Malaysia’, I find that somewhat odd at first, since Malaysians, in terms of independent films, at least, always have a relatively healthy production of short films. Then I realised that all of the filmmakers who had made their name with short films have pretty much graduated to feature filmmaking (as is the case with at least four of the filmmakers above). That’s not to say that there won’t be any more Malaysians in Pusan. Yeo Joon Han, who made last year’s ‘Sell Out!’, will be taking part in the Pusan Promotion Plan with ‘The Family Photograph’, which awards production money to two out of the thirty productions selected to take part. Tan Chui Mui will also be there…at least she should be, if she wants to be in the running with ‘The Year Without A Summer’. I seem to remember reading that her next film is ‘Waiting For Snow in Kuantan’, and find myself wondering whether she changed the titles. 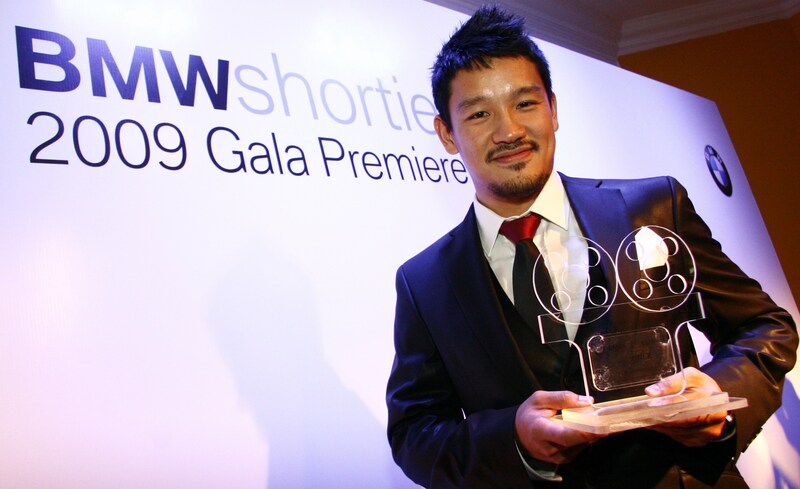 Finally, representing Malaysia in the Asian Film Academy programme is Loh Ming Kwang, who may or may not be the Brendan Loh Ming Kwang of ‘Conversation with a Mad Man’, an award winner at the BMW Shorties some months ago. As an aside, and partly because I met an eye-catching Singaporean yesterday, my friend Kirsten’s film, ‘Cold Noodles’, will also be shown in Pusan. Knowing Kirsten the way I do, it’ll probably be another weird, mind-bending comedy. Good luck, guys. Do us proud. Fikri is surprised that James Lee’s ‘Call If You Need Me’ isn’t in the running here. You can check out Fikri’s review of the Malaysian films in Pusan last year. thx for the news bro! I love to go to the film festival in Thailand. Even it’s not a big one, I can watch the movies which is valuable than their income. Yeah, and I love to watch Independence movies about Asian. It’s good to know their thought and culture.